Mashing potatoes has pretty much remained unchanged for my entire life, as we continue to pulverize our potatoes with the same basic metal kitchen tool we’ve used for years. What did that potato ever do to you to deserve such a beating? Well, at least Mr. Potato Head’s last gasps for breath will be drowned in butter and heavy cream. 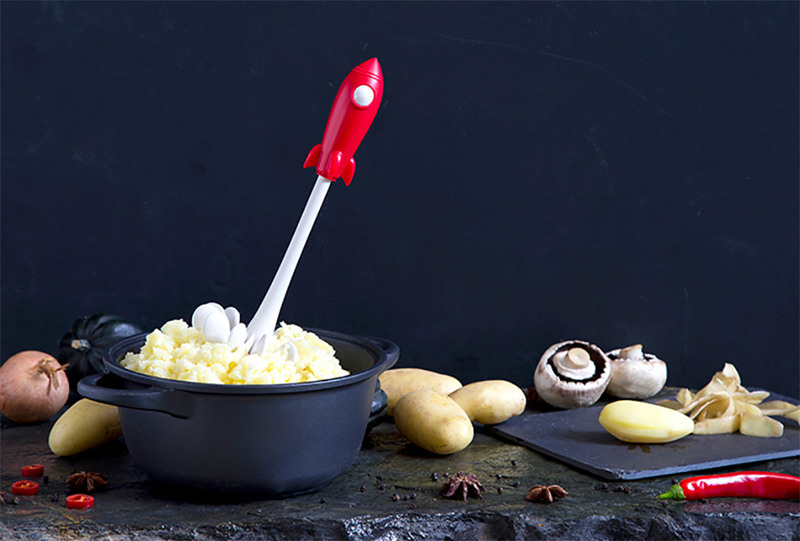 Now, thanks to the miracles of science, you’ll soon be able to mash your potatoes with the jet blast of a rocket ship. 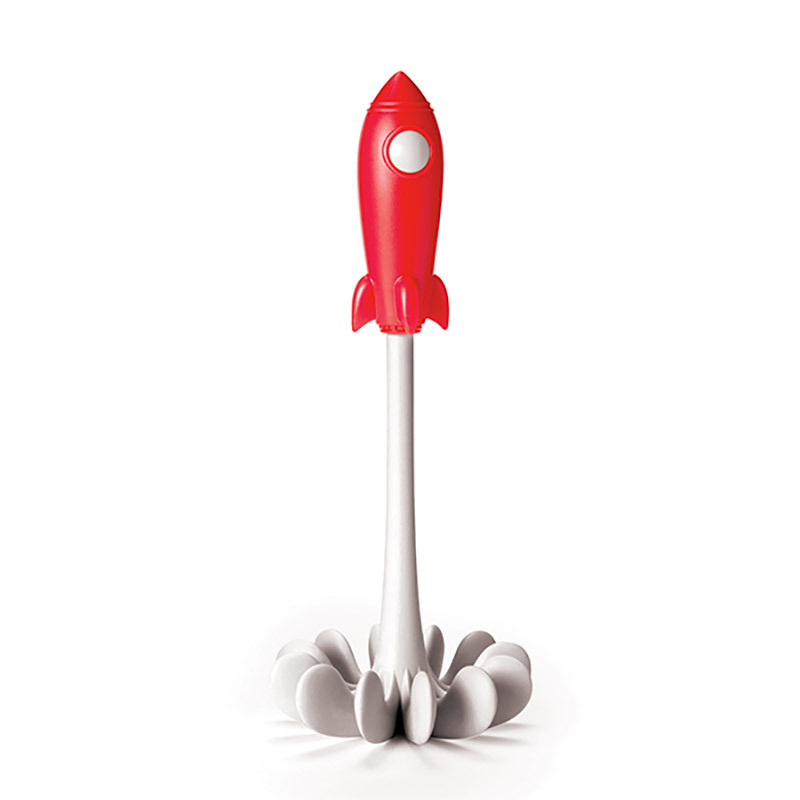 Lior Bartal and Ototo design’s whimsical Space Masher will take your mashers to new heights, as it blasts off toward the ceiling of your kitchen. I can only imagine it’s on a mission to a far-off, exotic planet covered with broccoli trees, where it rains cheddar cheese sauce. If you’re ready to give your potatoes the upgrade they deserve, the Space Masher is available for pre-order now for $17(USD), and starts shipping this September.